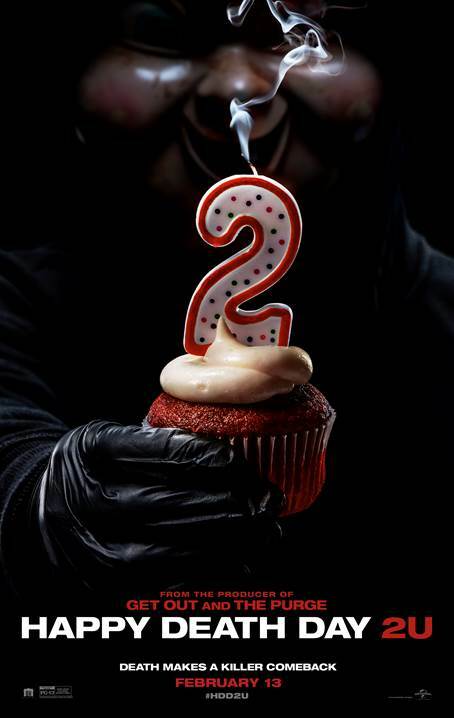 We're happy to offer our DC readers the chance to attend a free early screening of Happy Death Day 2U, the sequel to 2017's hit, Happy Death Day! The screening takes place on Monday, February 11th at 7:00pm at Regal Majestic in Silver Spring. If you'd like to attend, simply complete the Rafflecopter contest form below. Winners will be selected on Thursday, February 7th and notified by email. Good luck! Happy Death Day 2U opens February 13th.